MTS closed the second intake of MTS StartUp Hub accelerator and integrated a number of technological innovations developed by its residents into its retail business. Technology based on machine learning and data analytics from Detectum has been deployed in our online shop shop.mts.ru. The solution allows us to track customer requests and memorize the user’s preferences by categories and brands. Based on the data collected, the system suggests the most suitable set of goods to each customer according to his individual preferences. If there is a large number of relevant products, the system automatically offers context-sensitive filters prioritizing the most important parameters with the most popular values. The algorithm continuously adapts to customers’ choices, learning their preferences and altering its selections accordingly. We believe that better, more intuitive offering to our customers will increase purchase conversion for MTS online store and stimulate customer spending. Startup Alytics is also launching a pilot project in our online retail. The monitoring and analytical system improves the effectiveness of contextual advertising and optimizes related costs. Integrated into the MTS online shop, the project will evaluate adverts using a number of indicators including conversion costs (CPA), revenue, and return on investment (ROI). The solution developed by Alytics allows our clients to increase the effectiveness of contextual advertising by up to 30%. The pilot project will last three months. In the second intake, more than 360 applications from 73 cities and 13 countries were submitted to MTS StartUp Hub, including the USA, Israel, Germany, Belarus, among others. The number of applications increased by 50%, and the geography of projects expanded twice. In addition, the number of mature projects increased by 1.5 times. The areas of the second intake included B2B, e-commerce, IoT, information security. The most popular in terms of the number of applications were B2B and IoT. VERME. Optimization of POS staff schedule. FreshDoc. Documents constructor without pre-prepared templates. Reputation. Assessment of the counterparty’s reliability, solvency and risks of working with him. Geointellect. Geoanalysts (geomarketing) platform to select optimal locations for retail premises. Detectum. Smart search solutions for online shopping platforms. Alytics. End-to-end analytics system with contextual advertising automation. EVA. Automation recruitment platform with a strong NLP algorithm. Wiren Board. Equipment for automation and monitoring of technological objects and commercial real estate. FSK. Operational control systems for industrial refrigeration equipment, heating, ventilation and air conditioning. 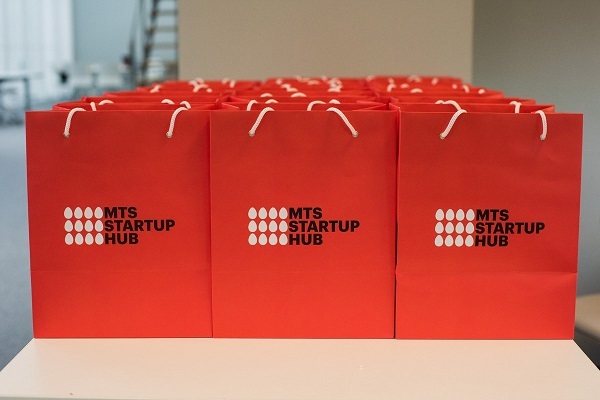 MTS StartUp Hub accelerator was launched in March 2018 and is a key element of MTS's interaction with young tech companies. The goal of the program is to develop start-up teams through mentoring, training and expert support to prepare their product for piloting and scaling.